Performance-driven and being measurable are becoming current trend for business planning and operations. We have seen more enterprises aiming at performance-based, goal-driven and result-oriented continuous organization improvement. 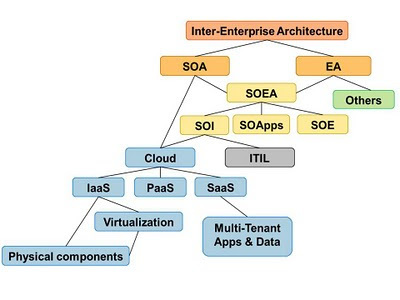 Enterprise Architecture is an integral effort in this direction. Therefore, being measurable is naturally considered as an architecture principle. It requires architects to think about the possible performance measures regarding to the architecture components they are working on. 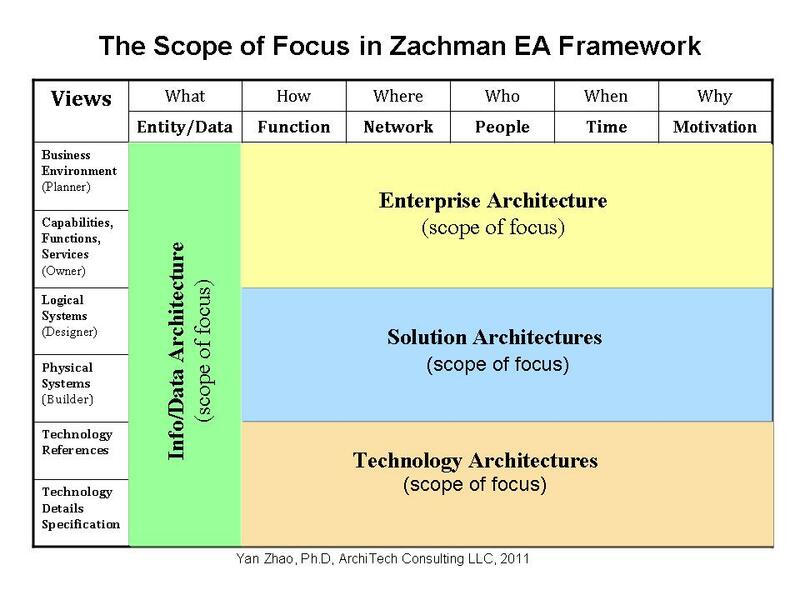 The popularity of enterprise architecture started from Federal Government via legislation mandate, and then grows into private sectors. The crucial historical event in Federal Enterprise Architecture  was the passing of the Information Technology Management Reform Act (now called the Clinger-Cohen Act)  in 1996. This act mandated architecture best practices for government agencies. It pointed the Chief Information Officers (CIO) in federal departments and agencies being responsible. A CIO Council was established to encourage collaboration across agencies. The President's Management Agenda  (PMA, FY 2002) recognizes the significance of information management as a core mission of government, and thus gave an impetus to the development of the Federal Enterprise Architecture. After experienced several big programs/initiatives in big enterprises, it makes me think about what’s their most critical success factor. The answer is the “Leadership”. Quite often, the management role is confused with leadership, and coordination is confused with guidance. There are management positions in each organization or program/initiative. However, this doesn’t mean there is a leadership. I’ve seen quite often that new organizations or new programs/initiatives are put in place with people and management structure, and then it is expected right things to happen. It doesn’t unfortunately. It doesn’t work without clear vision, plan, understanding the subject matters, identifying the roles and responsibilities. We can compare this with starting a play in a theater: we collected all the actors, and organized them for scenes, but we don’t have a manuscript, the director doesn’t really have the play story figured out and designed for scenes, and he expects the actors to create by themselves, the actors don’t have a clear picture about the whole story, so don't really have unified or consistent ideas on how to play their roles in the context. When the curtain opened, and the real show started. What can you expect? A leader is the play director who should have a manuscript in hand and have the whole story in mind. He should know the subject matters of the “show” and can provide guidance to the “actors”, not only “manage”. The introduction of Inter-Enterprise Architecture (IEA) is a response to the current evolution of business landscape and environment change associated with common service commoditization, cloud computing adoption, and social network popularization. The IEA describes context, business environment, collaboration channels, partnership opportunities, influential components and relationships across enterprises and business organizations in selected business domain or service domain for the targeted enterprise or business organization(s). 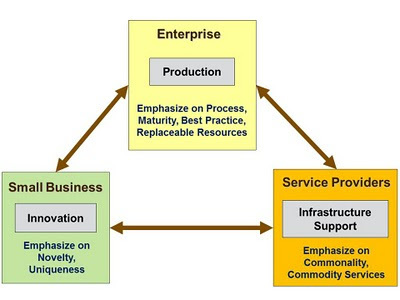 The IEA enables enterprises or business organizations to understand its position in currently connected and networked business world. 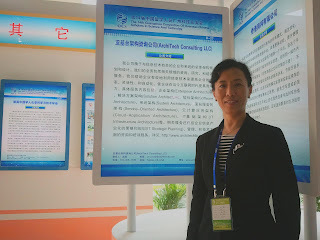 Also, the dynamic nature of collaborations and the autonomy of current enterprise structure, culture, and operation environment create challenges. It is necessary to explore how business should be architected to take advantage from these collaborative environments, since it is becoming essential for business to be agile and collaborative across organization boundaries. 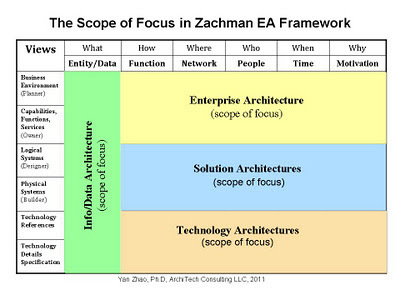 If enterprise architecture is like a city plan, the IEA is more like a plan for a metropolitan.